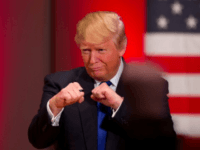 The worst part of any conflict, whether it’s war, a divorce, or simply a debate, is that good people get hurt and put in awful positions. Due to the utter insanity that the NFL has become, Alejandro Villanueva now finds himself in that position. 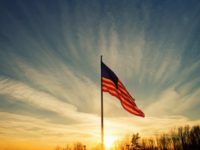 Two centuries ago, during the War of 1812, the image of a single American flag flying at Maryland’s embattled Fort McHenry moved Francis Scott Key to write a poem, the Star-Spangled Banner. 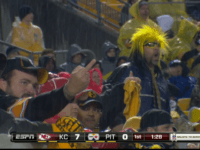 Pittsburgh Steelers fans are taking action against Steelers merchandise sellers after the team’s botched reply to the NFL’s protests against the country seen during the league’s Week 3 games. 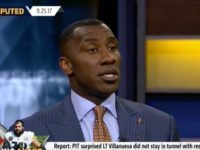 The commander of Veterans of Foreign Wars, the nation’s largest and oldest combat veterans organization, on Monday spoke out against National Football League players kneeling during the national anthem at nationally broadcast football games. There might be an awful lot of returned #78 jerseys in the next couple weeks. 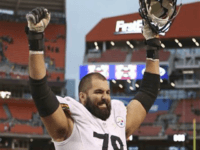 Alejandro Villanueva, the Steelers tackle who famously stood alone on the field for the playing of the national anthem on Sunday while the rest of his team stayed inside the tunnel, has now revealed that he actually intended to remain in the tunnel with his fellow players. 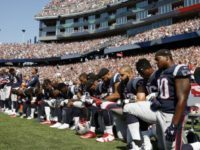 The act of NFL players taking a knee during the National Anthem has gone from being a stunt to a plague that is infecting the whole league. 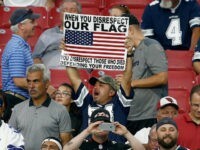 When NFL Commissioner Roger Goodell responded to President Trump’s criticism by defending the players, he showed that he not only has no clue why NFL viewership is in the tank, he also has no clue what the National Anthem is all about. If you want an Alejandro Villanueva jersey, and let’s face it, who doesn’t, you better act now because they’re selling fast. 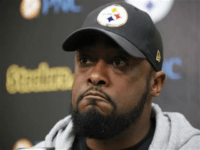 In what might just be the most 2017 NFL story ever, Steelers coach Mike Tomlin rapped one of his players, an Afghan war veteran, for coming out of the locker room for the national anthem. 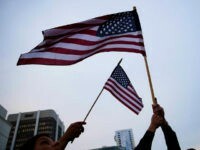 All but one of the Pittsburg Steelers decided to protest by staying in their locker room during the playing of the national anthem at this afternoon’s game in Chicago. 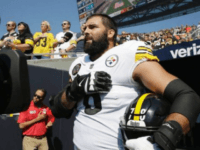 The lone dissenter was former Army Ranger Alejandro Villanueva who bucked the team’s decision and took the field, anyway, hand over his heart and helmet under his arm. 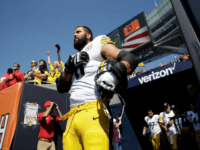 A Pittsburgh Steelers tackle who served three deployments to Afghanistan questions Colin Kaepernick’s decision to sit during the national anthem.